The University of Washington (UW) Center for Leadership and Innovation in Medical Education (CLIME) invites all health sciences educators to participate in its fourth annual CLIME Together Symposium for Excellence in Health Professions Education on Tuesday, June 11, 2019 at The Talaris Conference Center. Come meet other members of UW’s vibrant community of educators and participate in a half-day of activities devoted to sharing educational innovations and scholarship. Let’s celebrate our education community and its accomplishments together! We are delighted that Drs. Rachel Hardeman and Eduardo Medina from the University of Minnesota and Park Nicollet, will kick-off our morning with an invited plenary. 10:40 - 11:40am: Lightning Round Abstract Presentations. More information to come. Attend in Person or remotely through Zoom Conference. Lunch provided to in-person attendees. Zoom webinar link will be sent out April 16th. Description: Critiques of health professions education research have prompted members of the community to put theoretical and conceptual frameworks to better use in their scholarly work. Many scholars aim to do this, but find it challenging to incorporate theory in ways that enrich their ideas, methods, findings, and implications. In this presentation, I will draw on findings from my review of literature using Communities of Practice and Situated Learning Theory to illustrate ways in which theory has (and has not) been put to good use in health professions education. From these examples, I will suggest ways to use these theories and others more effectively in HPE scholarship. Characterize ways of using theory in HPE publications. RSVP: (In-Person Attendance only): Space is limited! Breakfast will be provided. Description: Scholarly writers know the literature review is a critical part of a paper, but few write their literature review to achieve its full potential. In this interactive workshop, we will discuss the purpose of the literature review and a framework to help you use the literature effectively. I will share resources and strategies for mapping the gap and staking knowledge claims. We will practice using these resources by working through an example from a published study. Presenter Bio: has been a faculty member in the Department of Medicine, Division of General Internal Medicine, since 2008. As an Associate Professor affiliated with the Office of Medical Education, Research and Development in Medical Education unit (RaDME), she teaches and mentors faculty and learners in several programs, including UCSF-University of Utrecht doctoral program in Health Professions Education, the Health Professions Education Pathway and the Teaching Scholars Program. At the San Francisco VA, she directs scholarship and evaluation for the Center of Excellence in Primary Care Education and a Fellowship in Health Professions Education Evaluation and Research. In 2015 she was selected as one of five national Macy Faculty Scholar, supported by the Joshiah Macy Jr. Foundation. As a co-author of Educating Physicians: A Call for Reform of Medical School and Residency, she brought workplace learning to the forefront of educational innovation and reform. Her current research focuses on workplace learning in the context of longitudinal relationships, interprofessional team-based care, and systems improvement. Dr. O'Brien received her Master's in Organizational Behavior from the Haas School of Business at UC Berkeley and her PhD in Education from the Graduate School of Education at UC Berkley. Location: NOTE ROOM CHANGE! Attendance can be in person (A-325 in the Health Science Building, Seattle) OR remotely through Zoom Conference. Lunch is provided to in-person attendees. Attend in Person or remotely through Zoom Conference. Lunch provided to in-person attendees. Description: This presentation will involve a brief summary of the rationale, design and main results related to education for the Comparative Effectiveness of Models Optimizing Patient Safety and Resident Education Trail (iCOMPARE). The randomized trial involving 63 internal medicine residency programs provides lessons for medical educational researchers on multiple fronts including trial management, participation and incentives, and avenues for future work. 3. Ask "what was gained"? Description: This workshop recognizes that the mission of medical education is to produce clinically competent physicians. Among the many players involved, the mission is shared but the skills and foci are different. In the course of doing one's job, research is often secondary. Presenter Bio: Judy A. Shea, PhD . is a Professor in the Division of General Internal Medicine, Department of Medicine, University of Pennsylvania; Associate Dean of Medical Education Research and Director of the Office of Evaluation and Assessment in the Academic Programs Office, School of Medicine. She also co-directs the Masters of Science in Health Policy Research. 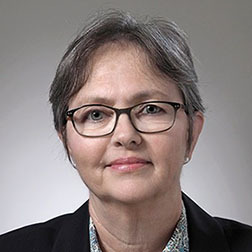 She serves duels roles, working with faculty and fellows to design and evaluate research projects, and directing the evaluation of the medical school curriculum and faculty. Much of her work focuses on evaluating the psychometric properties of curriculum evaluation tools and developing measures to assess components of health such as health literacy, patient satisfaction and health-related quality of life. Majors themes to her work include assessment of medical education outcomes, health disparities and quality of life assessment. CLIME is pleased to announce the opening of applications for the 2019-2020 Association of American Medical Colleges (AAMC) Medical Education Research Certificate (MERC) Scholars Program at the University of Washington (UW). The program begins in January 2019 and continues through June 2020. Applications are due by November 15th, 2018. To advance health professions education scholarship and scholarly collaboration at the University of Washington. Faculty accepted into CLIME’s MERC Scholars Program will participate in longitudinal program activities that include required workshops, meetings with mentors, and additional sessions (as needed) to complete a scholarly project. We have redesigned our MERC Scholars Program to focus on team-based projects, intensive mentorship from national leaders in health professions education research, and dedicated time for project design and implementation. Introductory session: Formulate group projects and project teams and identify local mentors. MERC workshops spread over 5 sessions: Invited experts present a nationally-accredited curriculum in the morning and provide project consultation in the afternoon. Session 5 will have two MERC workshops without consultation time. Final Session: Present project abstracts at the CLIME annual symposium. CLIME’s monthly Work-in-Progress sessions are available: http://clime.washington.edu/work-in-progress/. Abstract presentation to the CLIME community at the annual CLIME symposium. *To foster community and collaboration, priority will be given to participants who intend to complete all 7 sessions between January 2019 and June 2020. Otherwise, participants will be enrolled on a "first-come, first served" basis. If faculty interest exceeds the available spots, participants will be placed on waiting lists and notified if/when openings become available. Historically, participants have traveled to national/regional conferences to complete 6 MERC workshops in multiple sittings without opportunities to foster collaboration with peers at their home institution. However, to make this process more efficient and less costly for interested UW faculty, CLIME packages these workshops into a local experience free-of-charge. The AAMC requires that faculty members cover the $100 cost to obtain the MERC program certificate once they complete the program. Please contact clime@uw.edu with any questions. Attend in-person or remotely through Zoom conference. Lunch provided to in-person attendees. Description: Narrative medicine has been described as medicine practiced with narrative competence: the ability to listen, absorb, and be moved to action by the stories of illness. Dr. Lahti is the Director of Narrative Medicine at the Oregon Health Science University School of Medicine, and has been teaching narrative medicine to interprofessional students and faculty since 2013. In this session, she will provide an overview of narrative medicine, and highlight the evidence that supports developing narrative skills in health care settings. Dr. Lahti will also engage the audience in skill building activities, and provide practical examples of how narrative medicine can be implemented into one’s practice. She will allow time for questions and discussion. Narrative medicine prepares health care professionals to receive clinical stories through practice and theory. By reading stories in clinical settings and using insights from humanities and interpretive social science, practitioners of narrative medicine better understand how clinical stories work. In this workshop you will gain skills in developing narrative competence: the ability to listen, absorb, and be moved to action by the stories of illness. Participants should plan to actively engage in close reading, prompt writing, and discussion during the workshop. There will be 2-3 recommended articles available ahead of the workshop. Health professionals interested in learning more about narrative medicine, and how to implement it into clinical practice. Elizabeth Lahti, MD received her undergraduate degree in English and Spanish literature from Lawrence University, and her medical degree from University of Illinois at Chicago. She completed her Internal Medicine residency at Oregon Health Science University, where she is currently an Assistant Professor of Medicine, and the Director of Narrative Medicine in the YourMD curriculum in the OHSU School of Medicine. She teaches narrative medicine and reflective practice to interprofessional students, residents and faculty with a particular interest in identity formation and resilience through story. Dr. Lahti co-founded the Northwest Narrative Medicine Collaborative which hosts an annual conference and monthly community of practice, where health professionals, patients, caregivers, and artists explore their experience of illness through story, with an eye on improving the healthcare experience for all. Her poetry and short prose has been published in Annals of Internal Medicine, Journal of General Internal Medicine, and Intima: A Journal of Narrative Medicine. Martha Driessnack, PhD, PPCNP-BC is a Pediatric Nurse Practitioner who received her undergraduate degree in nursing from The Ohio State University, master’s degree in Pediatric Nursing from Yale University, PhD from Oregon Health & Science University (OHSU), and post-doctoral research fellowship in Clinical Genetics from the University of Iowa. She is currently the Director of the PhD Program in the School of Nursing at OHSU and just finished a 3-year term as a member of the IPE Steering Committee. Her research centers on the importance of our internal (genetic) & external (family) stories in building resilience and understanding the impact of disease and illness. She co-teaches an interprofessional narrative medicine elective with Dr. Lahti, adding her research expertise in narrative inquiry and analysis. Her latest article - ‘Who are you from? The importance of family stories” is based on a keynote address delivered in Pamplona SPAIN last summer. The University of Washington (UW) Center for Leadership and Innovation in Medical Education (CLIME) invites all health sciences educators to participate in its third annual CLIME Together Symposium for Excellence in Health Professions Education on Wednesday, June 6, 2018 at The Talaris Conference Center. We are delighted that Dr. Anthony R. Artino, Jr. from the Uniformed Services University of Health Sciences, will kick-off our morning with an invited plenary. 10:40 - 11:40am: Lightning Round Abstract Presentations - Interested in presenting your education project? Abstracts are due May 4, 2018. More information here. Learning to become a health professional is an emotionally charged undertaking. Consider the second-year medical resident who is preparing to conduct a clinical procedure for the first time. She probably hopes for success, worries about failure, and feels ashamed if the procedure goes poorly. These emotions—hope, worry, and shame—have the potential to influence her motivation, the effort she puts forth, and even her professional identity as a doctor. Historically, such emotions have received little attention in health professions education. More recently, however, educators and researchers alike have acknowledged the importance of emotions and their role in learning to become a health professional. The purpose of this plenary is to raise awareness about emotions in health professions education, introduce the self-conscious emotions of shame and guilt, and describe how shame—a potentially destructive emotion—might manifest during training. Using theory, research, and a series of authentic stories from medical education, the session will help both educators and trainees better comprehend the role of emotions in health professions education; recognize the value of shame resilience; develop specific strategies for constructively engaging with shame; and create learning environments that facilitate adaptive responses to shame. List specific strategies to (a) constructively engage with shame when it occurs and (b) create learning environments that facilitate adaptive responses to shame. Surveys are widely used in health professions education (HPE), yet few educators are familiar with the best practices of survey design (Artino et al., 2014). As a result, many HPE surveys fail to adequately capture the very attitudes, opinions, and behaviors they are designed to assess. This workshop introduces participants to a systematic, seven-step design process for creating high-quality surveys fit for program evaluation and research purposes. The workshop consolidates and organizes the abundance of survey design literature that exists in the social sciences and guides the novice survey developer through the survey design process. This design process is different from previously described processes in that it is inherently collaborative and relies on other experts in the field as well as potential participants. In addition, the process front loads the task of collecting validity evidence by focusing heavily on item development. Throughout the workshop, emphasis will be placed on conceptualizing relevant HPE constructs, collecting reliability and validity evidence for a survey scale, and identifying common item-writing mistakes. In addition, the benefits of expert validation, cognitive interviewing, and pilot testing will be introduced. The workshop is intended for any educator or researcher, from novice to more experienced, who is currently developing or thinking about using a survey for program evaluation or research. Given the frequency with which surveys are used in HPE, following a rigorous approach to the design process will greatly improve the chances that survey designers measure what they intend to measure. 4) Define the purpose of expert validation, cognitive interviews, and pilot testing. Anthony R. Artino, Jr., PhD, is a Professor of Medicine and Deputy Director for Graduate Programs in Health Professions Education (HPE) at the Uniformed Services University of the Health Sciences in Bethesda, Maryland. He holds a joint appointment in the Department of Preventive Medicine and Biometrics. A graduate of the University of Connecticut with a PhD in educational psychology, Dr. Artino mentors graduate students and teaches in the HPE degree programs, as well as the Master of Health Administration and Policy and the Master of Public Health degree programs. As a researcher, he is the Principal Investigator (or Associate Investigator) on several funded research projects totaling more than $7.9 million. In this role, Dr. Artino collaborates with a team of scientists trained in a variety of academic disciplines, including psychology, epidemiology, physiology, medicine, and English. This interdisciplinary team studies various aspects of human motivation, learning, and performance in medical education. Dr. Artino is a Deputy Editor for the Journal of Graduate Medical Education, an Assistant Editor for Academic Medicine, and is on the editorial boards of several peer-reviewed journals, including Military Medicine, Military Psychology, and The Internet and Higher Education. Dr. Artino has published more than 100 peer-reviewed journal articles on learning and motivation, survey design, and online education. Over the last 10 years, he has presented several dozen survey-design workshops at national and international meetings around the globe. CLIME members are invited to submit abstracts related to education research and teaching innovations as part our popular lightning round abstracts session. Format will be for brief, informal presentations with time for moderated discussion. The email submission deadline to clime@uw.edu is May 4, 2018. To submit an abstract you must be a CLIME member. Membership is free, and registration is easy. You can access the registration site here. Members may be the presenting author on one abstract only. We encourage members to present work that has been previously presented at other conferences as well. Objectives: This session has two goals: 1) to demonstrate the basics of behavioral, cognitive, social, and experiential learning theories through brief mini-lectures and interactive exercises, and 2) to discuss how to apply these theories to your next big educational endeavor. Due to AAMC conference in Boston, we are canceling the November session. We hope to see you in December! Attendance can be in-person or remotely. Lunch provided to in-person attendees. Abstract: Educators design interprofessional simulations to achieve defined learning objectives and core competencies. However, even highly-structured simulations can yield unanticipated, or emergent, learning due to group dynamics and diverse interpretations of the situation by participants. As educators, we face the challenging task of recognizing these unanticipated, but often high-yield, moments for interprofessional learning. In this presentation, Dr. O’Brien will discuss findings from a qualitative study of student learning through interactions during an interprofessional simulated patient exercise. She will share video clips developed through this research and engage the audience in a discussion of the teachable moments identified in the videos. Abstract: In qualitative studies, data often take the form of words rather than numbers. While many scholars appreciate the richness of such data, they may feel a bit lost when trying to analyze and report findings from qualitative data. In this workshop, Dr. O’Brien will highlight some of the common problems identified in qualitative manuscripts and offer strategies to avoid these pitfalls. Summary of theme and why it is important. There is growing awareness in medical education that feedback is a central element of effective learning and competency development. However, despite a wealth of experience and practice with feedback, the conceptual basis and empirical evidence on how to give feedback is still sketchy. Giving negative feedback, i.e. specific feedback that points to shortcomings in learners’ knowledge or performance is especially challenging as it might question a person’s self-concept or self-confidence. This in turn might weaken the constructive and conducive potential that feedback might have for personal and professional development. Against this background, we will discuss different models and frameworks for feedback and focus on guidelines on giving negative feedback in particular, such as: how to establish trust, how to avoid ambiguity, and how avoid the right-wrong discussion. Who should participate in the Pre-Conference Workshop? Everybody who is interested in deepening his or her feedback competencies. Participants should have some experience in giving feedback in an educational setting e.g. undergraduate or graduate health professions education. What will they gain from participating?